1. [Account Related] Support accounts creation and restoration through mnemonic words. 2. 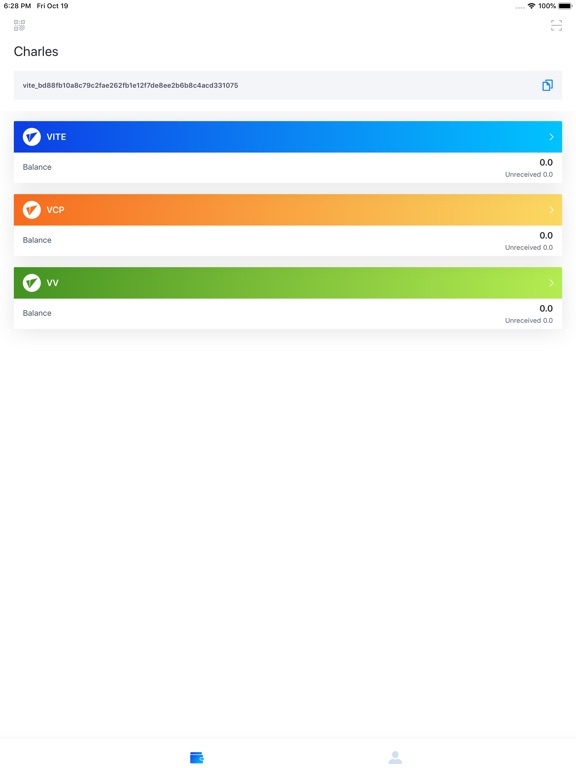 [Wallet Module] Support Vite tokens, ETH, ERC20 tokens and GRIN. 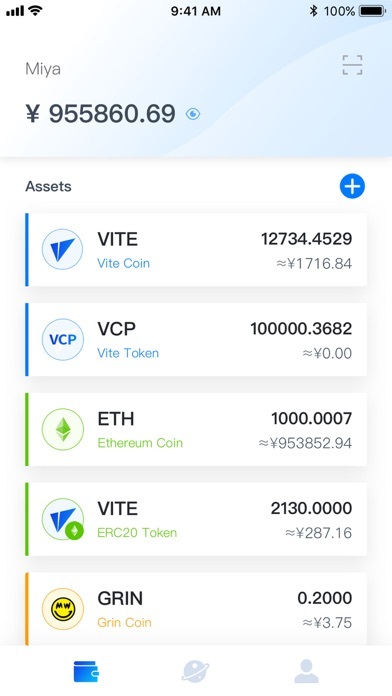 Vite multi-token wallet supports transferring and receiving GRIN through transaction file, HTTP address, and VITE address. 3. [Vote Module] Support voting for SBP(Snapshot Block Producer), display of candidates of SBP and vote result. 4. 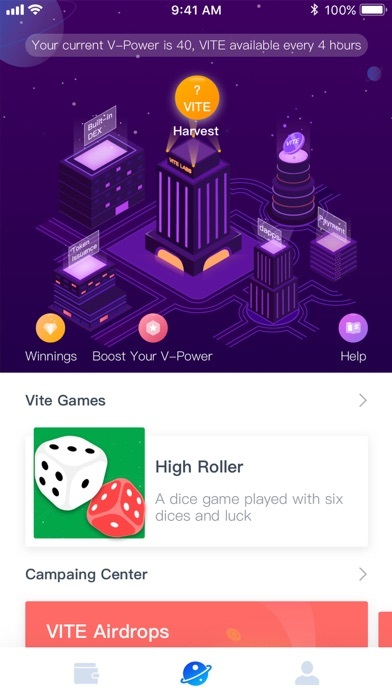 [Quota Module] Support acquiring quota by staking VITE. 5. [Find Module] Provide airdrop claim, games, campaign center, news. 6. 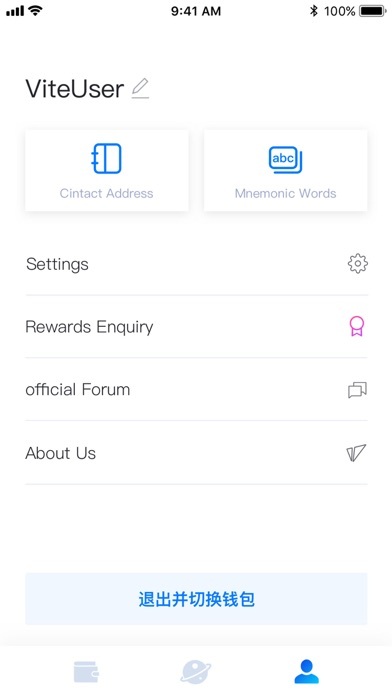 [Me Module] Support contacts maintain, settings, rewards inquiry, mnemonic words export and etc. 7. [Language Locale] Support Chinese and English locales for now. 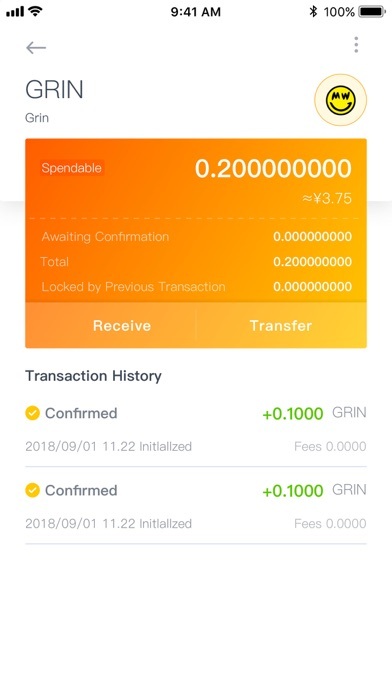 GRIN token newly supported! 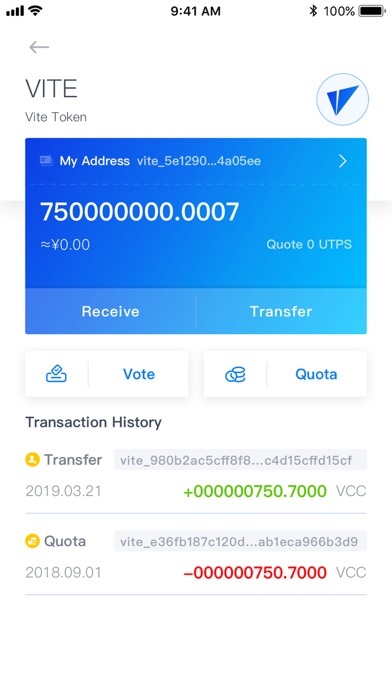 Vite multi-token wallet supports transferring and receiving GRIN through transaction file, HTTP address, and VITE address.